Just like other industries in Great Britain, schools are required to adhere to the Health and Safety (First Aid) Regulations 1981. This means schools must provide adequate first aid provision for their employees with consideration also, in their risk assessments, for students and members of the public visiting their site. In some circumstances the First Aid at Work or Emergency First Aid at Work programmes are the courses of choice, however, depending on risk assessments it may also suit some schools to use the EFR Primary Care for schools programme. The EFR Primary Care for Schools course can be conducted using video guided or independent study approaches. Should a school need the programme to be slightly customised to include extra skills or information not already in the programme, we will where ever possible adapt the EFR program. Course completion is registered through use of the EFR for Schools Course Completion Card, which is included in the Primary Care for Schools participant pack, the manual and completion card is included in the course fee. The first aid for schools programme can be easily adapted for students wishing to learn first aid skills check out the Student First Aid Programme. 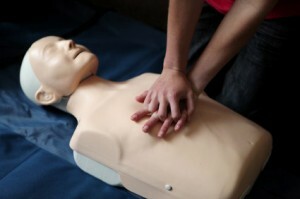 The flexibility and value for money this programme offers makes it ideal for schools looking for quality first aid training at affordable prices. To find out more, please give us a call 0151 207 0081.